Ludwig van Beethoven Music Festival Teplice was founded in 1964 in honour of the artist´s stay in Teplice Spa in 1811 and 1812. The festival originated in the former Ludwig van Beethoven Days which were organised in Teplice from 1951, as part of the Summer Concert Season. 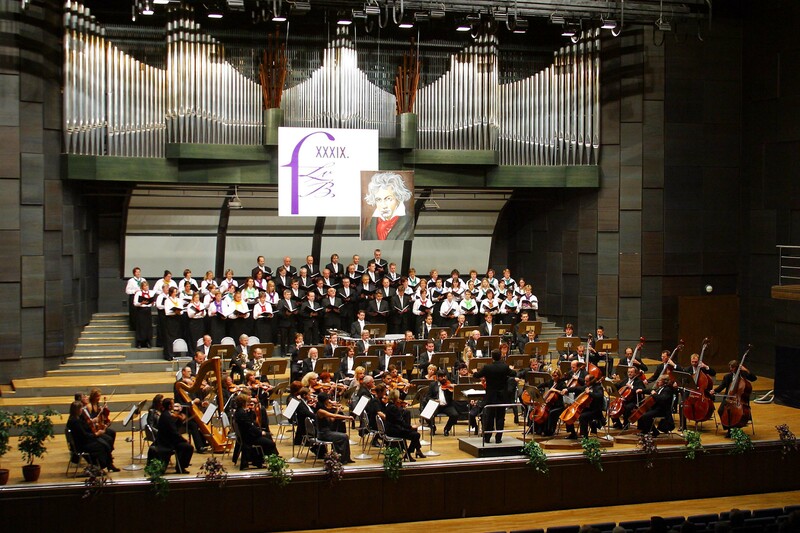 Statutory City of Teplice has entrusted hosting of the festival to the North Czech Philharmonic Teplice that facilitates the dramaturgy and organisation for the entire festival. Due to the limited budget, only three symphonic and two chamber concerts used to be held in the city of Teplice. In 2004, when the 40th festival took place, the festival commission, upon recommendation of the NCP Teplice management approved on extension of the festival, increased the number of concerts and moving of the festival period to the turn of May and June. Nowadays, every year there are 20 concerts organised in 10 cities of the entire Ústí Region within one month presenting numerous outstanding artists, such as Mischa Maisky, Sharon Kam, Shlomo Mintz, Maxim Schostakovitch, Vovka Ashkenazy, soloists like Broadway Theatres New York, Kun Woo Paik and other world-renowned performers. The largest share for festival financing is provided by the Statutory City of Teplice, Czech Ministry of Culture, the State Cultural Fund of the Czech Republic, Ústí Region and municipal authorities in places where the concerts are held. The Ludwig van Beethoven Music Festival Teplice has been the member of the Czech Association of Music Festivals since 2004 and in 2016 the festival became part of project Family Silver of Ústí Region. Member of the Czech Association of Music Festivals since 2004.